After a long trip and 9 hours waiting for a connection flight in Delhi I arrived in Kathmandu on April 7, around noon. On this day, there was a strike in Nepal which means no private cars on the route, so traveling to the hotel was a little bit easier than normal. I met that evening with Kari Kobler, the expedition leader and a Michael, climbing mate, who has arrived already earlier. 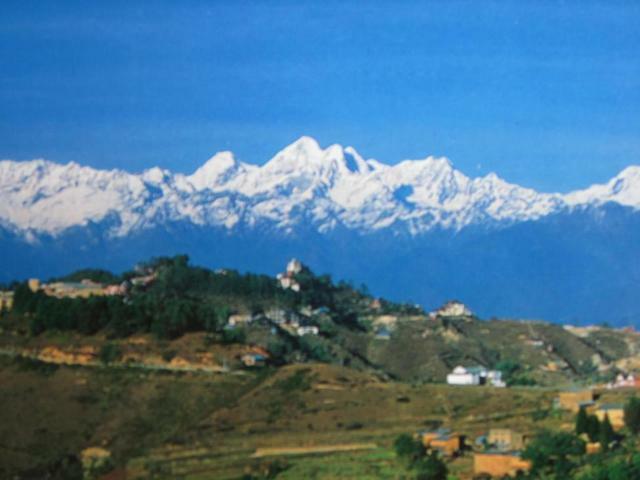 Since I had still some extra days before the start of the expedition, I decided to visit Nagarkot, a village about two hours from Kathmandu in the foothills of the Himalayas. There were at least two good reasons to go there: (1) The village is at 2,100m/6,930ft which may help in terms of acclimatization and, (2) I was able to escape the smog and noise of Kathmandu. So Michael and I left on April 8 and spent two days in this beautiful area. 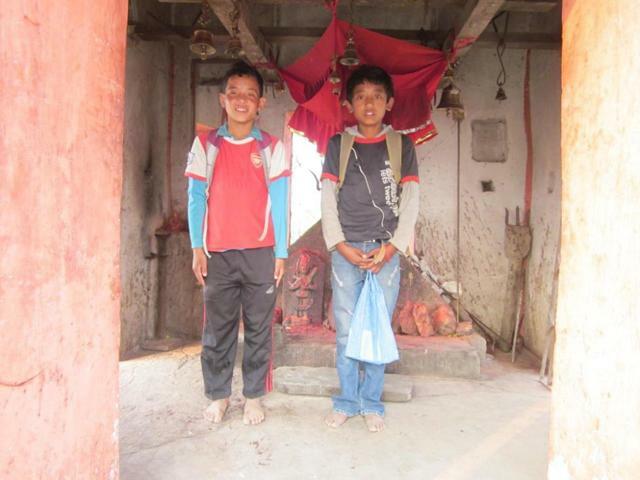 Our guides in Nagarkot in front of a small local temple. 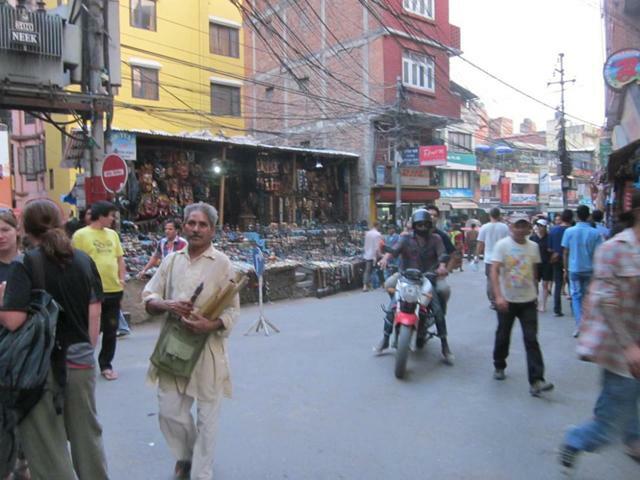 Back in Kathmandu on April 10, we met the rest of the group. Believe it or not, there was a total of 32 climbers! 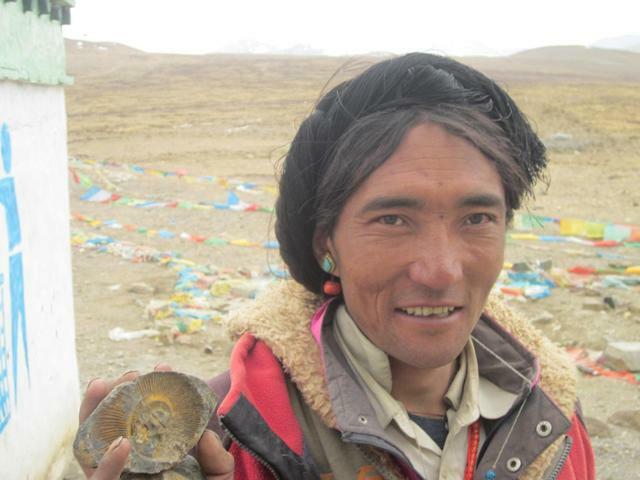 The reason why we were such a huge group is because of some visa problems in terms of entering Tibet. So the climbing company had to combine four different expeditions to enter Tibet. Once we will arrive in Everest Base Camp, the different groups will travel to their respective mountain: Cho Oyo, Shisha Pangma, Lakpa Ri and Everest North Col. The actual Everest climbing team will be 8 people, including two guides. 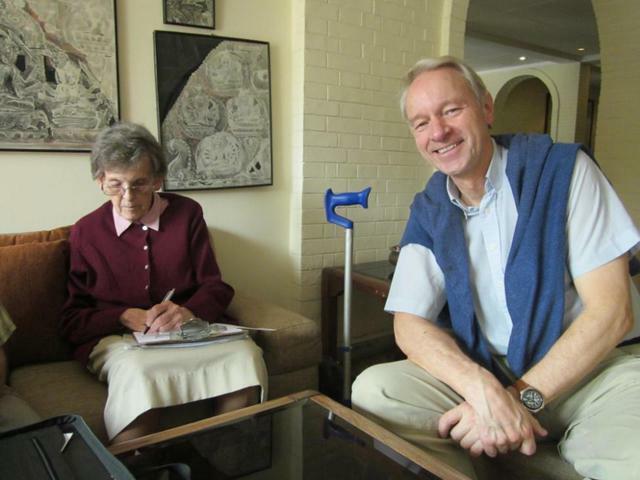 Just like last year, we met with Ms. Elizabeth Hawley, THE authority when it comes to Everest statistics. 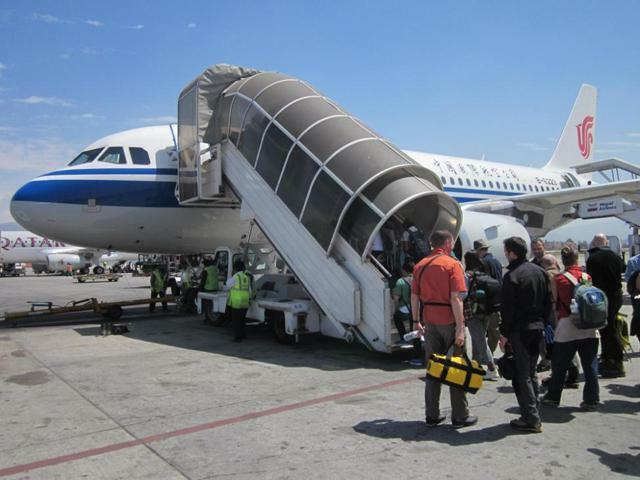 The next day, on April 11, we left Kathmandu by plane for Lhasa, Tibet. This was scenic flight and we could see Mount Everest the first time from the air. 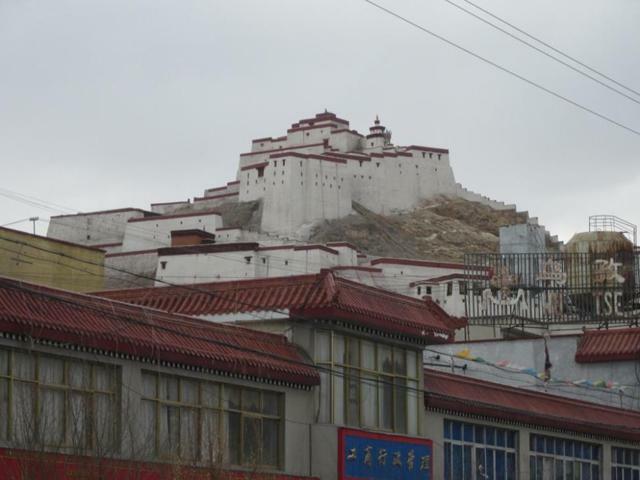 Once in Lhasa we went to the hotel and started to explore this exciting place. 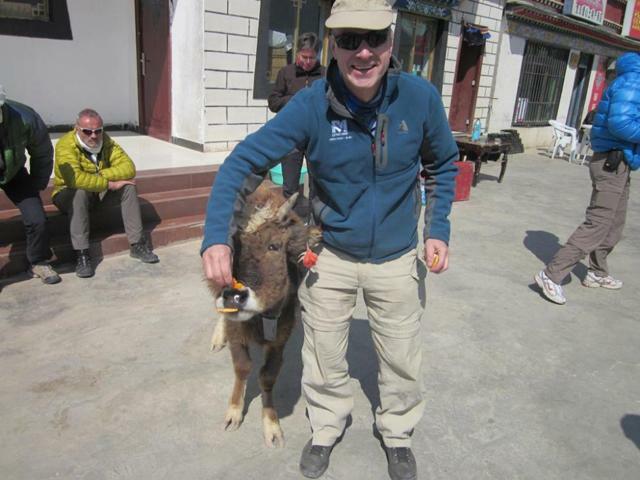 Lhasa is at 3,650m/12,045ft so our acclimatization exercise had started. 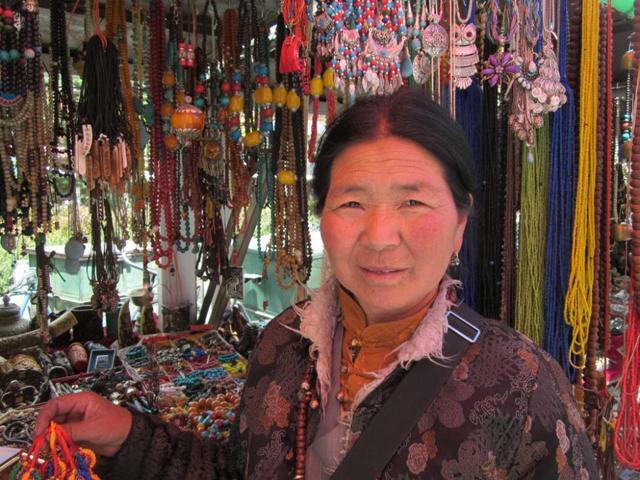 In the evening, we walked around and explored some parts of Lhasa. 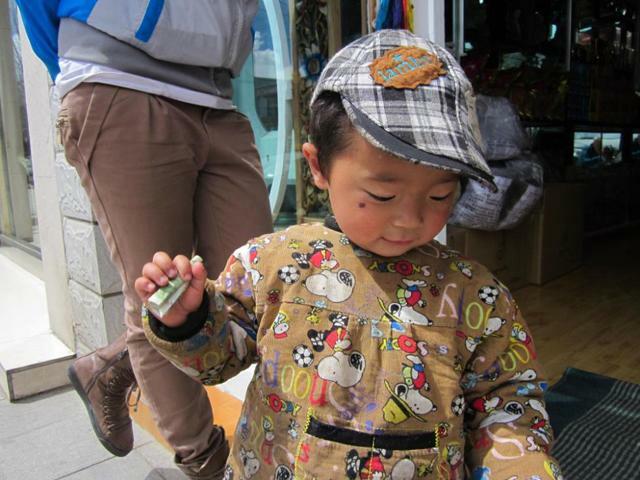 The next day we went to see the Potala Palace and the Jokang Temple. Later in the afternoon we went to the Sera Monastery and we were also able to see the daily “debating class” of the monks. 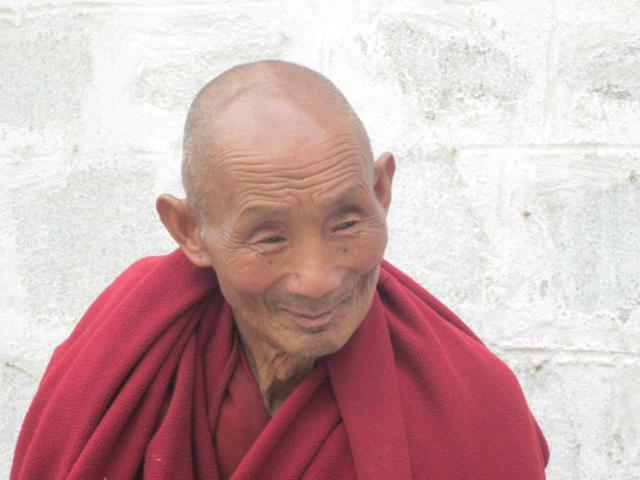 I have seen this before, but I am always touched by this extraordinary Buddhist teaching. Who knows, maybe the world would look different if we in the West would have such a teaching in our schools. What a great way to start the Mount Everest journey!!! 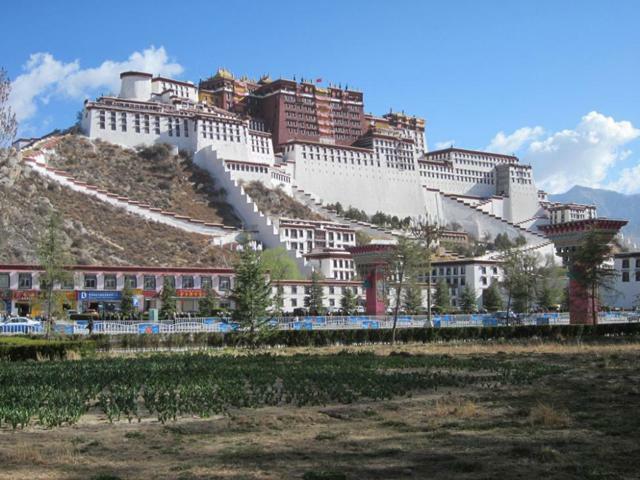 Potala Palace – The number one tourist attraction in Lhasa. Praying in front of the Potala Palace. 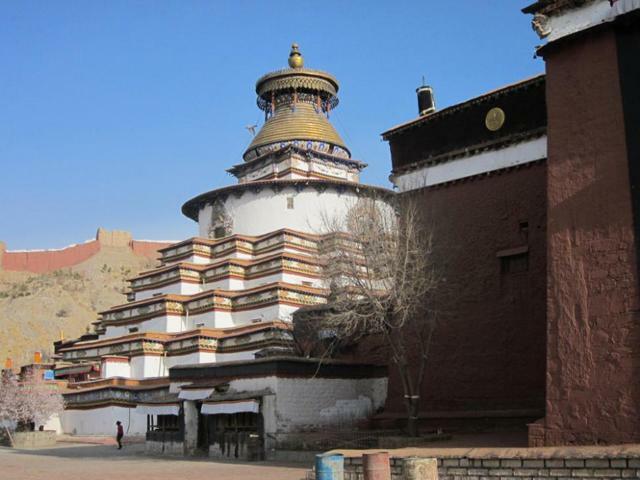 Debating class in the Sera Monastery – What could we learn from this teachings??? 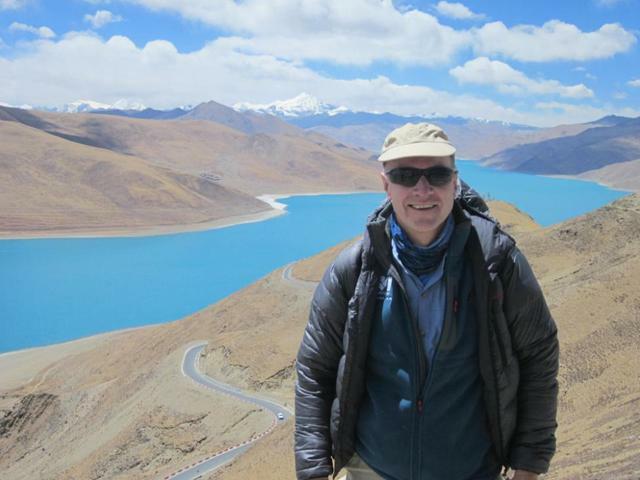 On April 13 we left Lhasa in the morning, after having visited the insight of the Potala Palace. Along the way we crossed two 5,000m/16,500ft+ mountain passes and arrived finally in the town of Gyangtse in the afternoon. Once we had checked in the hotel we visited the local monastery and hiked up to the fort. This monastery had a beautiful Stupa and some interesting buildings. And yes, here we could feel the altitude while climbing up the stairs to the top of the fort. No wonder, the town is at an altitude of 3,390m/11,187ft!!! A beautiful Stupa in the monastery in Gyangtse. A scenic point view along the way to the Base Camp. 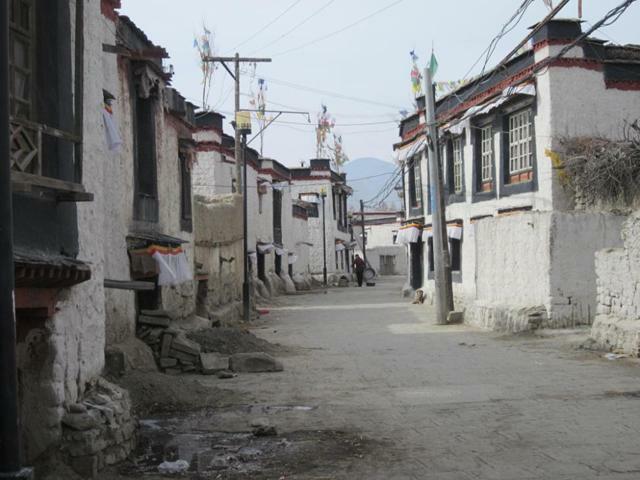 The old town of Gyangtse – a real Tibetan experience. 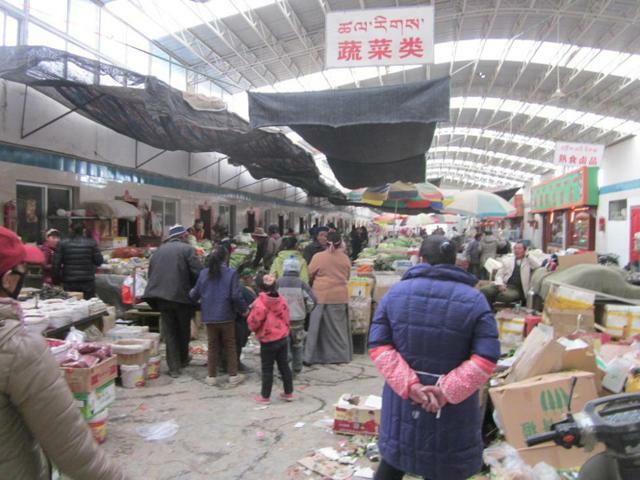 On April 15 we arrived in Shigatse, the second largest city in Tibet. There we visited the Tashi Lhunpo Monastery. Once again, this was a really an impressive experience. 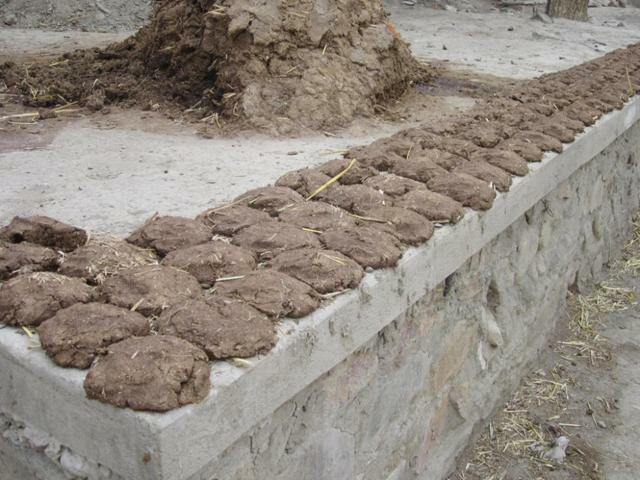 What a rich Buddhist culture we found in this monastery. Beside the impressive buildings there were also 700 monks living in this monastery. Also, many of the former Lamas were buried inside this monastery, so it is really a sacred place. 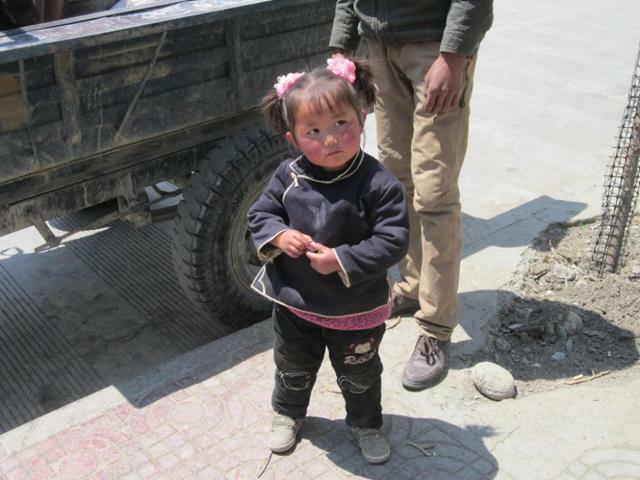 The next day we left Shigatse around 9:00am drove along Route 318 to Shekar or New Dingri. This was a 6-hour drive at about 4,000m/13,200ft altitude. 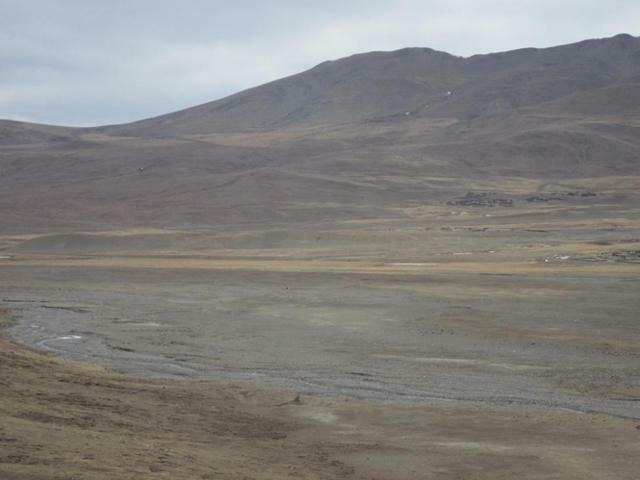 We were able to enjoy the dry Tibetan High Plateau and we passed many Tibetan villages along the way. 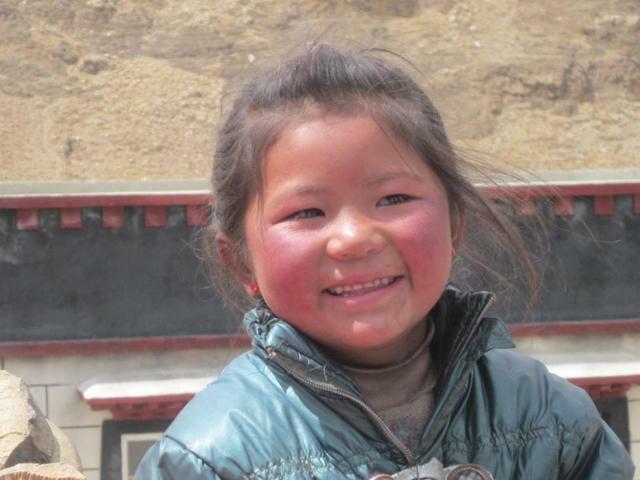 Most of the Tibetans are farmers and life at this altitude is not easy. Before we arrived in Shekar, we had to pass the Gyatsob La, a 5,248m/17,318ft mountain pass. Once we arrived in town, we checked in our last hotel for a while. This is a small but interesting place and George Mallory also used this town during his 1924 Everest Expedition as a starting point to enter the Rombok Valley. In the afternoon we did a short acclimatization hike and got read for our last long bus ride to Everest Base Camp. 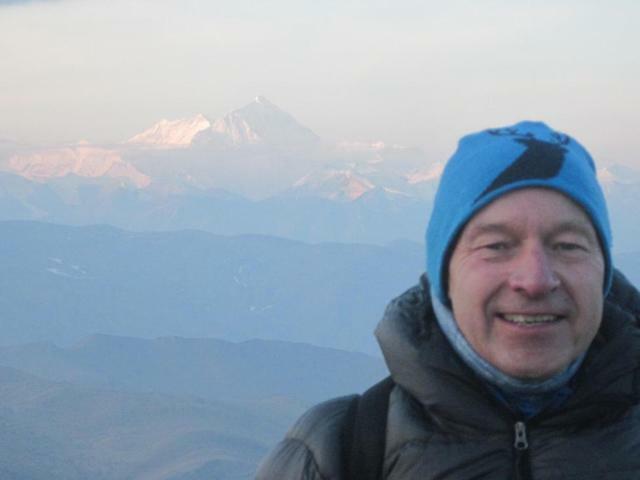 The Gyatsob La, our second last 5,248m/17,318ft mountain pass along the way to Base Camp. 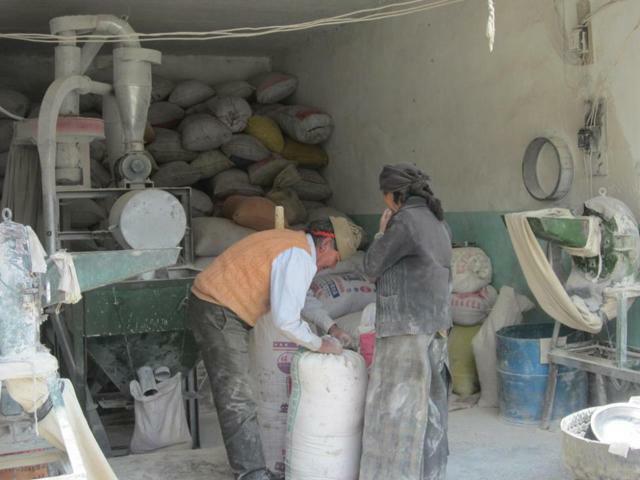 Making flower – One of the main stables in Tibet. What are all these foreigners doing here??? 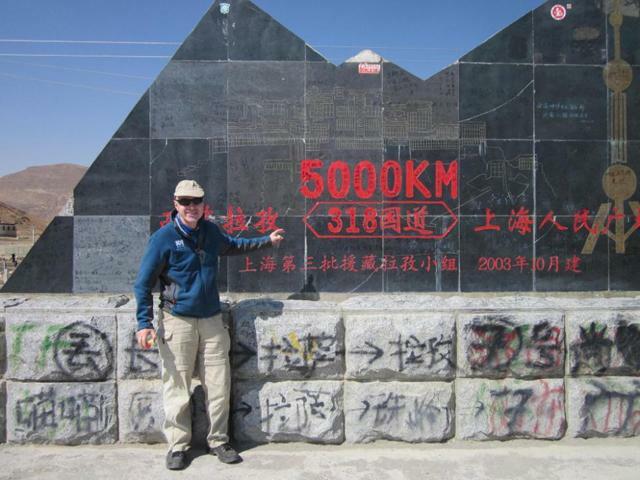 The next morning, on April 16, we left the hotel at 5:00am and drove up the Local-Geu La, a 5,200m/17,160ft mountain pass to see the sun raise and enjoy a beautiful panorama of five 8,000m/26,400ft mountains. 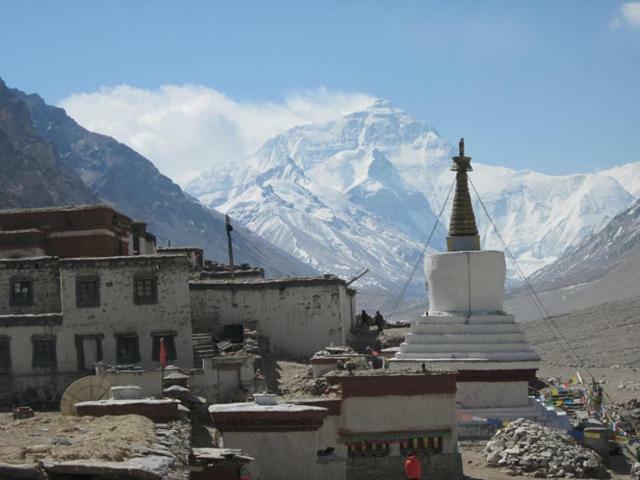 Qomolangma, how Mount Everest is called in Tibet, was standing strong and high in the middle of the impressive Himalaya mountain chain. Besides Everest, we could admire in the morning light Makalu, Lotse, Cho Oyo and Shisha Pangma. What a great view!!! A few hours later and after having passed the Rombuk Monastery, we arrived in the Everest Chinese Base Camp at 5,200m/17,160ft. It was a beautiful day and Qomolangma was right in front of us, impressive and tall! 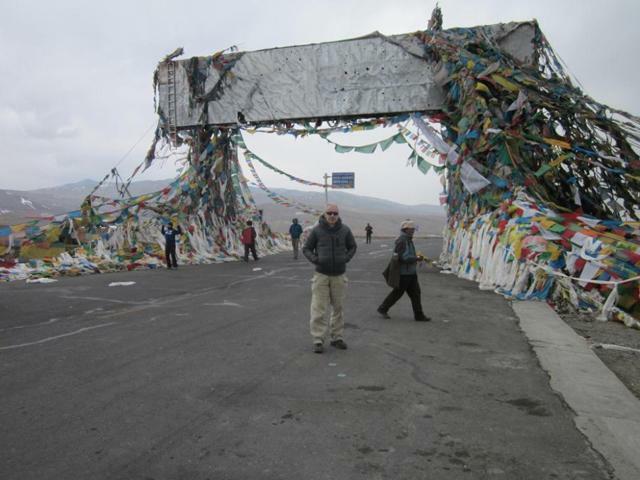 The over 600km/375mile trip to Base Camp is now finished and from this point on we will spend approximately 40 nights in our tents… Welcome to Qomolangma!!! 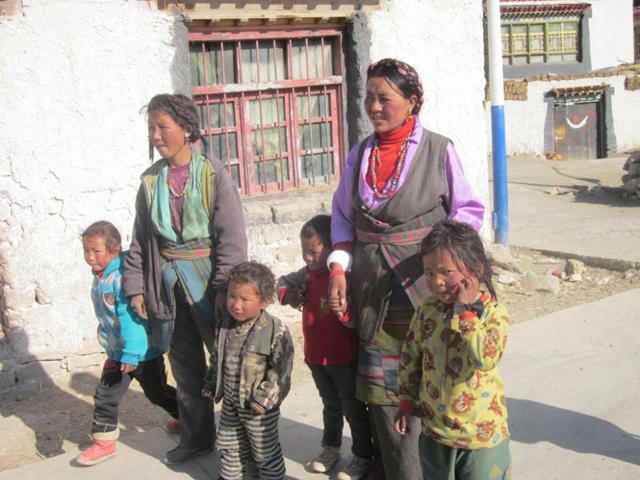 In a small village on the way to Everest Base Camp. And finally, the amazing Qomolangma from the Rombuk Monastary. 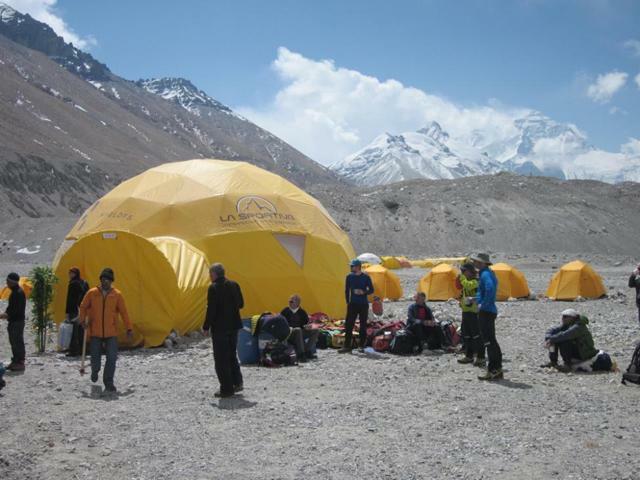 Kobler & Partner – Probably the largest most comfortable tent camp in Base Camp. 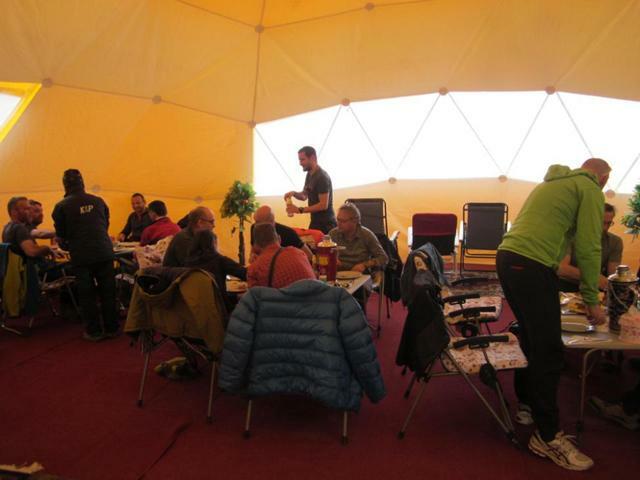 The fist dinner in the “Kobler & Partner Dom” at Base Camp – What a difference compared to my last Everest expedition.